The second lecture available for free is from the popular Social & Online Games Summit, and features Mind Candy's Michael Acton Smith discussing 'Lessons Learned Building Moshi Monsters to 15 Million Users'. The highly successful webbased game in question, Moshi Monsters, is a social online game for kids (7-11 year olds). As Acton Smith explains in his lecture description, the title is "an unusual mix between Tamagotchi, Brain Training and Facebook." The game launched in April 2008, and "hit its tipping point in 2009, when 9 million more players joined." The session then goes into detail about what the team learned during this intense period of growth -- also discussion how traffic was acquired, and which acquisition channels have been most effective. 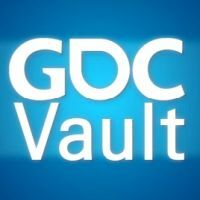 In addition to these lectures, GDC Vault's free videos section includes talks from Zynga, Ernest Adams, and NCsoft, plus highly rated lectures featuring 2D Boy's Ron Carmel and Bungie's Brian Sharp and Brenda Brathwaite plus geoDefense's creator Doug Whatley.